Home > Aalto Vases > iittala Aalto Rain Kapea Vase - 10"
iittala Aalto Rain Kapea Vase - 10"
Peaceful yet powerful, iittala's 2014 color Rain is the shade of the sky the moment before a dewy dawn. A modern manifestation of the original Savoy vase, the Kapea (Narrow) is the most slender of the variations. The same free-flowing lines of Alvar Aalto's 1936 design are left untouched, painting the curving shores of Finland's countless bodies of water. The flawless form is expertly crafted to bring forth whispers of bluish-grey color when the light dances upon the glass. 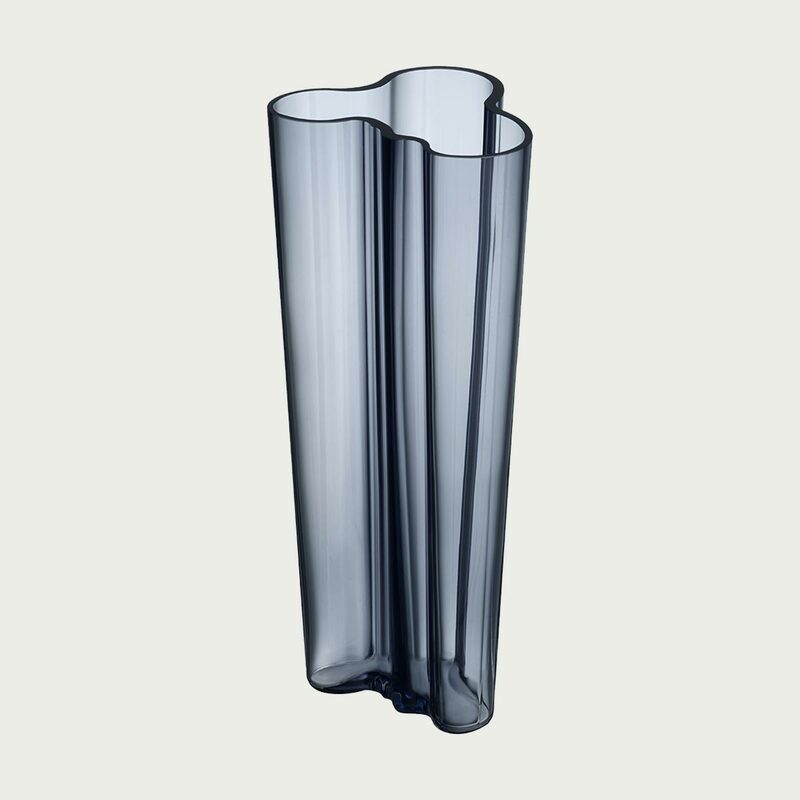 Take your love for a Finnish design classic to newfound heights with the iittala Aalto 10" Rain Kapea Vase. Reviews of iittala Aalto Rain Kapea Vase - 10"
Questions & Answers for iittala Aalto Rain Kapea Vase - 10"